The Denmark Wine region is a must-visit for the wine connoisseur! 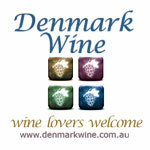 Denmark Western Australia is one of Australia's most isolated wine-growing areas producing cool climate wine since 1965. Grapes grown in natural soil with some of the freshest air on the planet have produce a premier viticulture area right here on the south coast of Western Australia. The Denmark Wine Region is known for Riesling, Sauvignon Blanc, Chardonnay, Cabernet Sauvignon, Pinot Noir and Shiraz. Riesling and Chardonnay were the first grapes grown on Denmark soil, soon followed by other varieties. Denmark, within the Great Southern Region, is a wine region of importance with over 20 wineries producing award winning wines of distinction and diversity. A premier viticulture area, the Denmark Wineries and Estates offer restaurants, picnic areas, live entertainment, delightful gardens and of course... delicious award winning wine! Wineries in Denmark include: Bartholomew's Meadery, Castelli Estate, Ducketts Mill Winery, Estate 807, Forest Hill Wines, Harewood Estate, Howard Park Wines, John Wade Wines, Karriview Wines, The Lake House, Madfish Wines, Rockcliffe, Moombaki Wine , Monkey Rock Winery, Mt Hallowell Estate, Old Kent River Winery, Rickety Gate Wines, Singlefile Wines, Silverstream Wines, Somerset Hill Wines, Tinglewood Wines, Valley of the Giants Wine & Olives, Whitfield Estate, Willoughby Park Winery & Boston Brewery & Yilgarnia Wines.